Cedar Point Subtly Begins Teasing Their Next Project. Tony Clark, Director of Communications at Cedar Point, recently had a blog post highlighting the lengths people have gone through to take a ride on Steel Vengeance. He tells a story of a man who traveled across the pond just to ride Steel Vengeance, and then head home the next day. "And what was his reaction? The exact quote was, if I recall, "insane poetry in motion." I wish I was recording video, because the joy in Paul's face cannot be duplicated. I could tell that he truly believed this was a work of art. His expressions echo the thousands of reactions of all who have been on it. So, he liked it. Enough to travel across the pond FOR ONE DAY just to ride it and FLY BACK HOME. Talk about endurance! Paul's already waiting for the next big thing. And so are a few of you. I've already been asked, "How do you top this?" 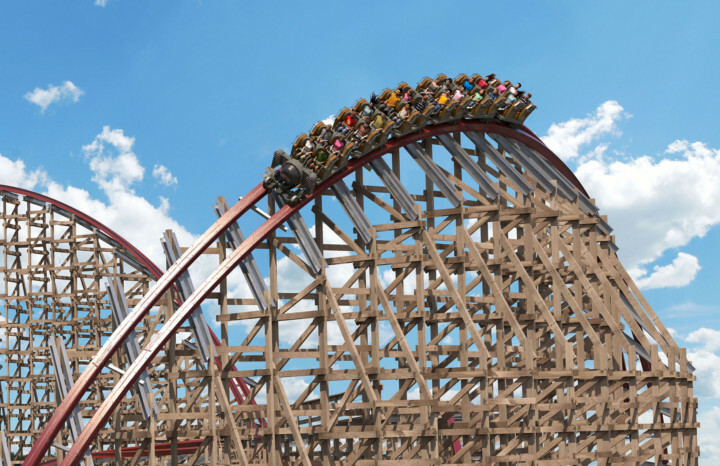 Great to hear, and I'm sure all the buzz that Steel Vengeance has created with the general public will have Cedar Fair teasing the hell out of their next projects. More fun stuff to look forward to! In unrelated news, there's an incredible interview by CoasterForce with Alan Schilke, RMC roller coaster designer, where he goes on to talk about the future of RMC. He even mentions a Giga coaster. Here's some wishful thinking, but wouldn't it be great to see Cedar Point work with RMC again? Fingers crossed.